“This salmon is so unbelievably delicious, I would pay for it in a restaurant!” Whenever you hear your family uttering these words in the midst of a meal, you know you have an incredible dish. It’s Food Matters Project Monday and this week our host, Sarah from Food and Frederick, chose “Mexican-Style Fruit Salad with Grilled or Broiled Fish (page 439)“. When it comes to fresh fish, you can’t beat living in Seattle – especially for Salmon. 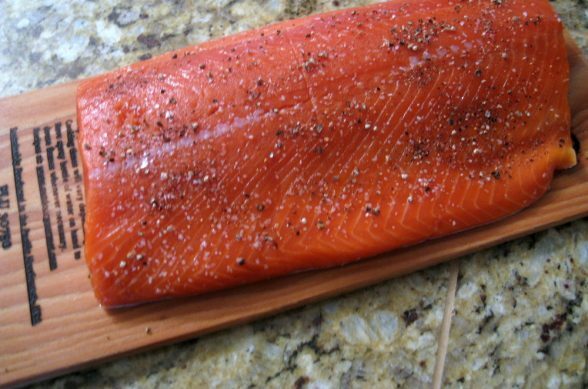 I kept it simple and clean by picking up freshly caught Wild Salmon and seasoned it with only kosher salt and freshly ground black pepper. The Salsa is what puts it over the top! The salsa combines seedless cucumber, Texas 1015 Onion, a bit of mint, a bit of cilantro, some lime juice and a Serrano chile. 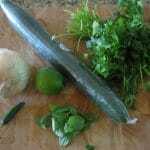 Even though Serrano chilies are hotter than jalapeno, the heat is balanced out by the cucumber, herbs and lime. The salsa is mild/medium at best so don’t get scared off! Simple high quality ingredients coming together to create an easy and delicious weeknight dinner. 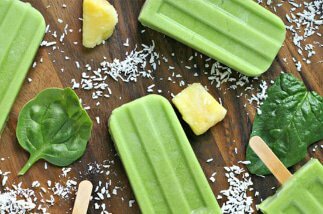 There is no question this is going to be a summer staple in our house! This is a great reference guide for Grill Cooking times. I linked to the Fish section but he also has Beef, Pork and Poultry sections! Why Wild Salmon and Not Farm Raised? Don’t have a grill? Bake your salmon in the oven! Season salmon with kosher salt and freshly ground black pepper. Set aside. 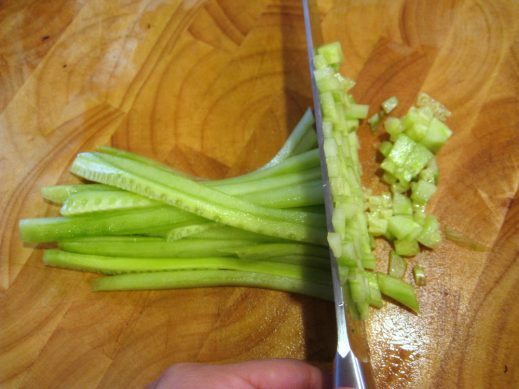 Peel cucumber and cut into thin strips, proceed to finely chop. Toss into a bowl along with chopped onion, cilantro, mint and serrano chile. Add oil, lime juice, salt and pepper. Toss to coat and refrigerate until ready to serve. I used a (water soaked) hickory board to grill my salmon fillet. If you are putting the salmon directly on the grill, oil the skin and cook skin side down with lid closed. You don't have to worry about the added oil since you are not eating the skin anyway. As for cooking times, it depends on how thick your fish is. A general rule is 10 minutes per 1" of thickness. See Notes section for a great grilling chart guide and link! Curious about what the other Food Matters Project members made this week? Click here to check out the recipes! 5 stars for the salsa! You’re right it really is a great one. Had it over coho just like you did. Some asparagus on the side and it was a great meal. I could have eaten more, easily! You mentioned the possibility of making it in the oven, but I didn’t see any instructions for doing that. Could you please suggest oven temperature and how long to cook? Thank you. A divine & tasty salmon meal! I love it so much! I hope you love it Sophie! I absolutely love good grilled salad, and yours look perfect! Yum. i’m going to need to save this one. I am not a salmon lover and I have been promising myself if a good salmon recipe comes my way I will dive in and change this pickiness with salmon. Your family’s comments convinced me! Keely this will convert you! Just make sure you get the absolute best quality Salmon you can find! Now that is a beautiful piece of salmon! Sounds super refreshing with that cucumber salsa! 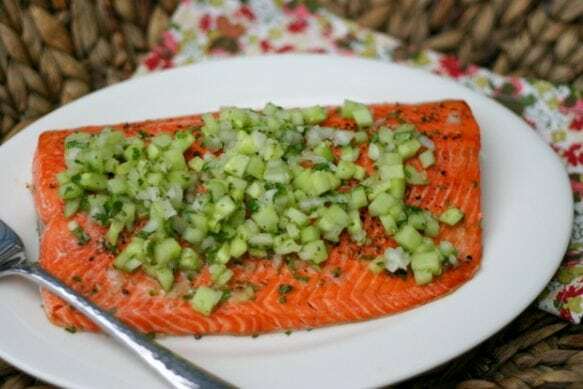 I’ve seen cucumber salsa before but I never thought that it sounded good, but after seeing it in the picture over salmon I’m sure it’s very tasty. I love this salmon. I could eat fish everyday and salmon is one of my favorites. I now have a new way to fix it. Thanks for sharing. Oh Alyssa, how I would love to have a piece of freshly caught wild salmon, that looks so good I am drooling. Thank you Norma! It is one of the perks of living here! 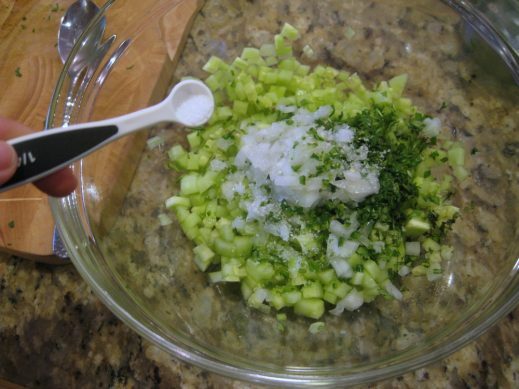 Cucumbers and sweet onion are a wonderful choice. I was so hung up,looking for fruit, I had not thought of this and we would have liked it, a lot. We did like what I made but I do want to try it, this way, as well. Thanks for the inspiration. Definitely Casey – I hope you love it! Your salsa and the salmon is a perfect pairing! I would pay for this in a restaurant too or just go to your house and invite myself over for dinner. We’re lucky to be able to access wild salmon too. Geographically we live close! I like the cucumber addition. 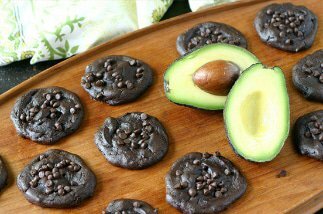 Will be trying this recipe for sure. We are lucky Elaine – the fish is amazing here! What a beautiful piece of salmon! The salsa sounds delish. Thanks Lexi! The salsa was the best part! That salsa sounds so refreshing! The fruit & fish combo is definitely going to be a Summer staple for us too. I didn’t know you live in Seattle! I just saw you’re going to BlogHer Food – so am I! We can meet, yay! Yay!!! Sarah email me and let me know travel plans. Cocktails!